The Indian Arts Research Center (IARC) is a division of the School for Advanced Research (SAR). 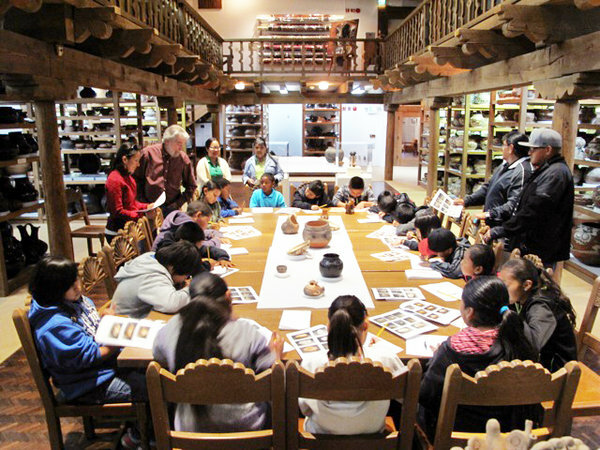 The goal of IARC is to bridge the divide between creativity and scholarship by supporting initiatives and projects in Native American studies, art history, and creative expression that illuminate the intersections of the social sciences, humanities, and arts. This is accomplished by providing fellowship opportunities for artists to engage in uninterrupted creativity; fostering dialogue among artists, researchers, scholars, and community members through seminars and symposia; nurturing future arts and museums professionals through experiential training; and promoting study and exploration of the IARC collection of Native American arts. The IARC Collection is considered by many to be one of the most remarkable assemblages of Southwestern Native American art in the world. Representing a broad range of works, this valuable collection’s foundation initially was formed in 1922 and has since grown to over 12,000 items, which are housed in two vaults in the IARC building. The stewardship of this collection continues to be a primary focus of IARC activities to maintain it for future generations. 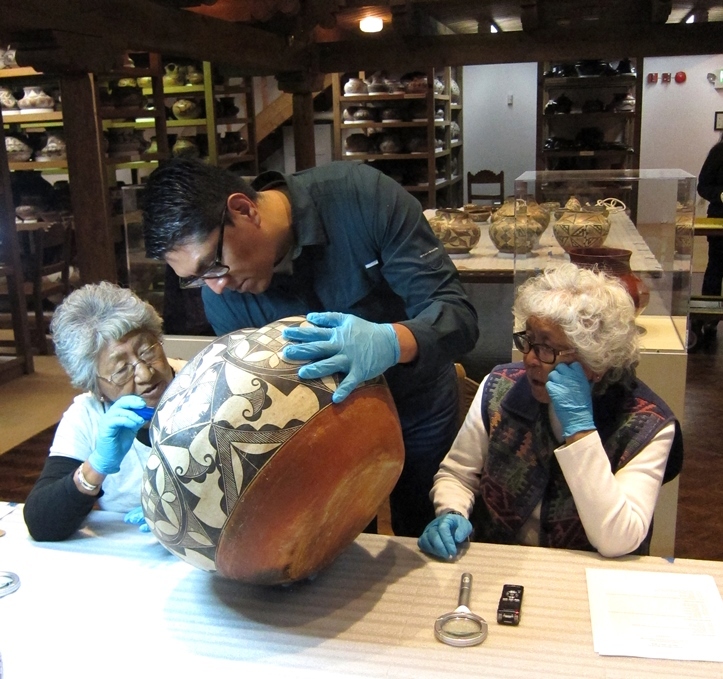 Collections care currently focuses on integrated pest management, preventive conservation, environmental monitoring, and mount making for objects to support the continued preservation of the collection. To take a tour of these Collections, click here.